What? 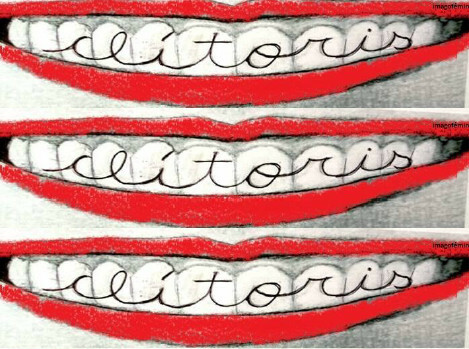 “the clitoridian smile was designed some years ago for a march for legalizing free abortions. we thought that a good way to question undesired pregnancys was first to ask about our own pleasure. as the feminist or Rivolta Femineli in Italia asked: we get pregnant looking for the pleasure of whom? This entry was posted in Feminism, Feminisme, Spanish, Sticker and tagged abortion, pregnancy, pro choice, reproductive freedom, sexuality. Bookmark the permalink.